Since grass is always greener on the other side, it is rather convenient to assume celebrities as larger than life figures who live a perfect life with no worries whatsoever. The ground reality, however, is almost always different. Lately, we have had a number of celebrities who came forward and publicly talked about their struggle with depression. 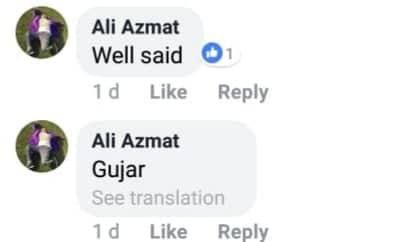 Names like Momina Mustehsan, Nouman Javaid, Juggan Kazim etc. shed light on how depression has nothing to do with your social status or financial circumstances. Even more recently, Mohsin Abbas Haider opened up about his struggle with depression in a post on his Instagram account that he later deleted. 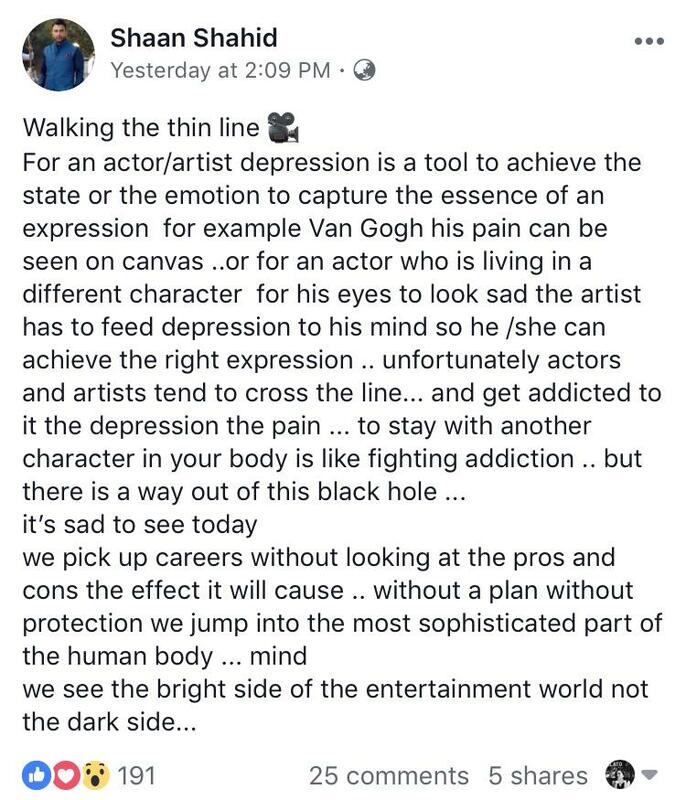 Last night, another prominent name from the industry, Shaan Shahid, shared his two cents on depression in actors on his social media handles. Shaan began by putting a disclaimer about how his post is going to be him walking on a thin line (which by the way, is true). If seen in isolation, Shaan does make a valid point. According to him, actors tend to immerse themselves into their characters so much that when they are unable to get out of them at the right time, depression becomes a by-product of it. Yes, it helps them attain that level of mastery where this immersion in sadness and emotions translates into well-developed and well-delivered characters, but the practice has its repercussions too. Sometimes, it is hard for the same actors to pull themselves out of it because having a character in their system becomes an addiction which is hard to fight. He further mentioned that the industry is not all stardust and glamour and it is important to weigh out the pros and cons of it before entering it. Several people commented on Shaan’s post and seemed to agree with his analysis of the condition. From Shaan’s wife, Aamina, to singer Ali Azmat and actor Ayesha Omar, many expressed their views in the comment section of Shaan’s post. Fans and well-wishers rushed to comfort him with their appreciation and praise for him, and it was heart-whelming, to say the least. Mohsin also appreciated every bit of it. It is, therefore, important to realise that while Shaan’s perspective is unconventional and something we usually not hear, depression is no simple thing. It can have multiple causes and multiple associated manifestations. Whatever the cause (or the lack of it) is, what’s imperative is to extend support to those who open up about it because it takes a lot of effort to come out in public with such an intimate aspect of their life. What do you think about the whole situation? Let us know in the comments.